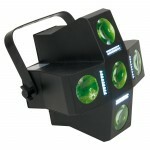 Add more creativity to your lightshow with the American DJ FREQ 5 revolutionary 5-Zone LED Strobe. 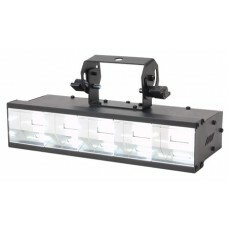 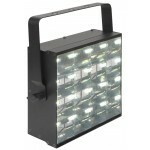 This 2-FX-IN-1fixture features a traditional LED strobe + 5-Zone chase effect. 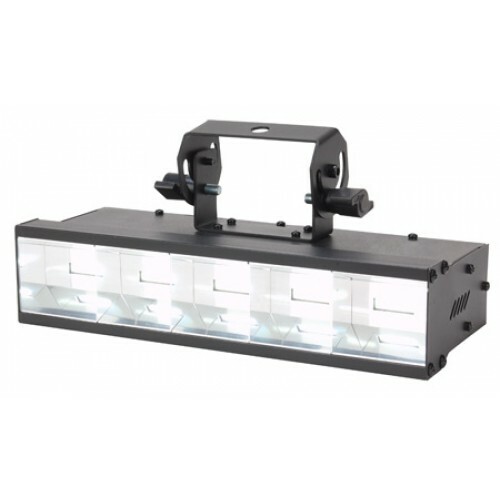 The Zone chase effect gives lighting designers the ability to display this strobe bar vertical or horizontal creating chasing white light for a dynamic energy-driven light show. 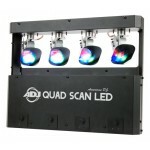 The FREQ 5 offers full DMX control with 4 DMX channel modes, dimming, strobe speed and chase speed. 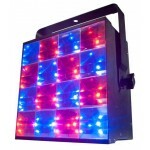 Users can also run the FREQ 5 in sound active mode, or manually control strobe speed and dimming on the back of the unit from it’s potentiometer knobs. 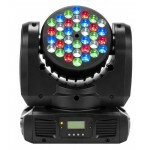 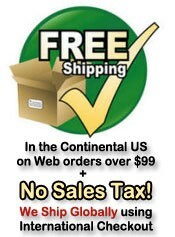 The FREQ 5 uses five 5-Watt bright white LEDs and consumes a maximum of 28-Watts of power. 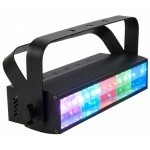 • Strobes 1200 times per minute.